Brampton facing south. The Down platform no longer exists as the line is now single track at this point. 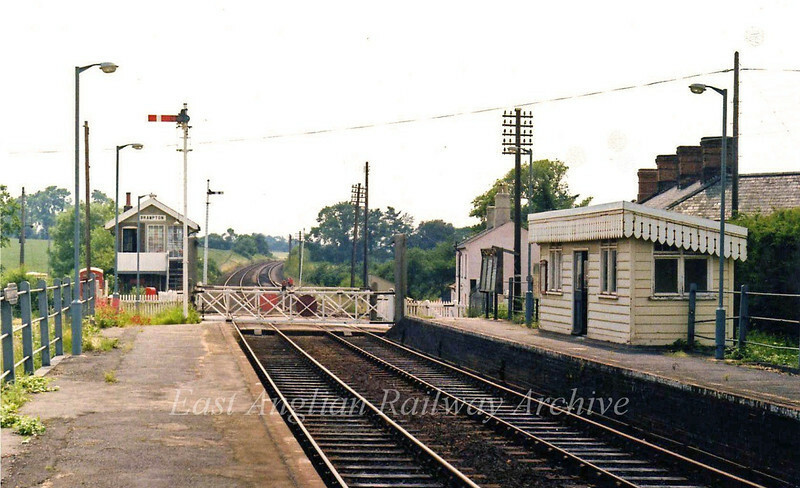 The station shelter can be seen at Mangapps Museum, Burnham on Crouch. Image dated 28th June 1979. Brampton lost its freight facilities on 13th July 1964.